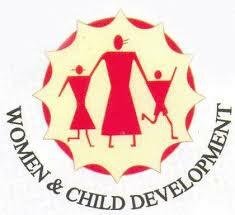 WCD Bidar Jobs Recruitment Notification 2019.Women and Child Development Department of Bidar, Karnataka inviting applications for the positions of Anganwadi Workers & Helpers.Interested and Eligible candidates can apply for the positions. Last Date for Submission of Application is on February 18th, 2019. Number of Anganwadi Worker positions to be filled in WCD Bidar is 131. Contenders those who have passed 04th/ 06th & 12th standard from a recognized board can apply. Minimum age to apply is 18 years and maximum age to apply is 35 years. Age relaxation is as per department norms. Selected candidates for above posts will get pay as per department norms. Through interview/ written test contenders will be recruited out. Through online mode by 18th February 2019 candidates have to submit applications for WCD Bidar Recruitment 2019.
https://anganwadirecruit.kar.nic.in/ is the link to apply online.